Once again I am behind in my cooking. We had a glorious day eating the junk food left over from G’s birthday. Somehow the eggplant paled in comparison to cold pizza. Figuring that I needed to get back in the cooking habit, I picked the easiest item in the fridge – the mini roaster potatoes from eco (eastern carolina organics). 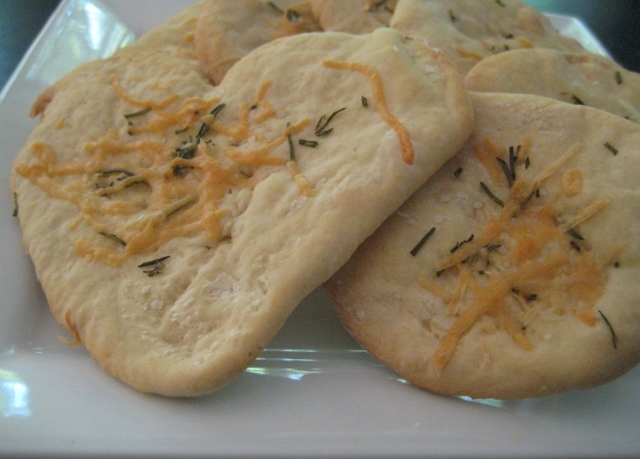 I tossed them in olive oil, salt, pepper and fresh rosemary from the garden. Usually I add chopped garlic to the mix, but today I decided to skip it. 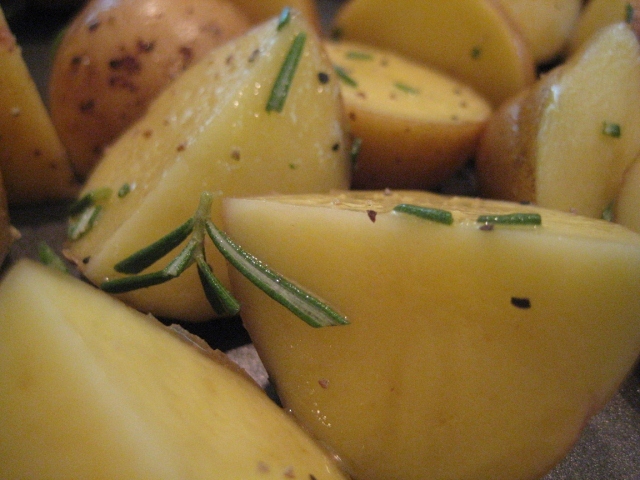 The soon-to-be roasted potatoes will make a great side dish, hashbrown, pancake filler, or vegetarian entree.